SASKATOON - Curtis Knight tied the game in the third quarter before winning it in the fourth as the Saskatchewan Rush beat the Vancouver Stealth 11-9 on Saturday night in National Lacrosse League play. 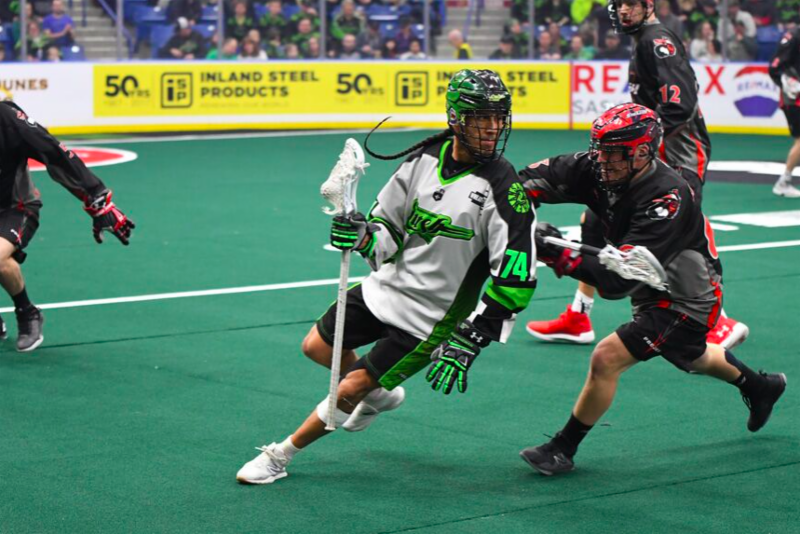 The Rush were playing less than 24 hours after beating the Mammoth in Denver Friday night. Robert Church, Ryan Keenan, Mark Matthews and Ben McIntosh all struck twice for the Rush (7-1). Mike Messenger also chipped in and Tyler Carlson stopped 39 shots. Logan Schuss led Vancouver (1-7) with four goals and Joel McCready added a pair. Rhys Duch, Brandon Goodwin and Tony Malcom had the others. Eric Penney kicked out 39-of-50 shots in defeat. Saskatchewan converted on all three of its power play chances while the Stealth were 2 for 4. The two teams will face each other again next weekend as they clash meet up in Vancouver for the rematch next Saturday night. Just a couple hours of sleep coming back from a win over Denver last night in Colorado and then jumping on a bus to get to the rink tonight with temperatures hovering around 35 below and the Rush come up with another win over Vancouver with a crowd of 14,400 looking on. Good Job Rush. Keep Saskatchewan Proud. These guys are that good. What a terrible schedule. By far the best team in Saskatchewan except for U of R lady cougars but they seldom get any notice or support. Why do the minions pay high prices to watch mediocre hockey when professional lacrosse is close by and better cheaper family sports entertainment is at home? um because it is ther choice and the pats are very entertaining sir!